At least it's a subtle pink, the respectable pink that you'd expect to see paired to pearls instead of the eye-searing hot pink that seems popular with the Hot Topic crowd. 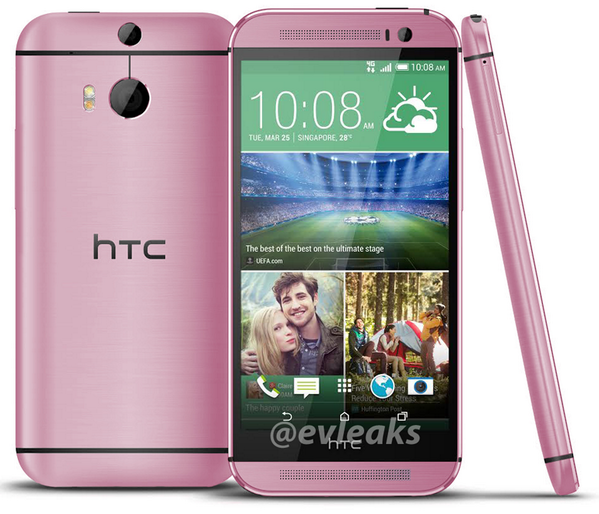 And since one of the One M8's standard international colors is gold, it's not even that big of a step down in the sense of taste. Without wishing to set off any politically-correct alarms, I'd say it's a safe bet that a pink phone would be marketed to women. The proximity to Mother's Day in the United States and other countries may be a fluke - with just five days left, HTC's retail and carrier partners wouldn't have time to promote the color option. Pink phones tend to be marketed primarily in Asia, but it's always possible that one of the American carriers will pick up the pink M8, if only so it has a color option that others don't. 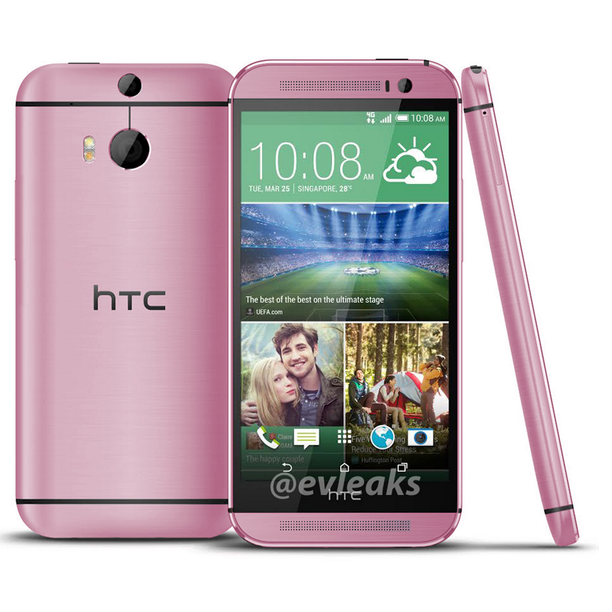 I wouldn't wait on it, though - there's no telling when or if HTC might bring it to market. Evleaks previously hinted that red and blue colors are also on the way.